After a slow start we are happy to report the OKI C831-TS is gaining momentum, and for good reasons. As part of marketing the OKI C831-TS we continually say, “ OKI C831-TS Printer—T-shirts and More.” Yes, no doubt the C831-TS provides far more than just t-shirts and is also one of OKI’s most reliable printers. For sure, the OKI C831-TS is a winner. The reliability and versatility of the OKI C831-TS makes this a great choice for anyone wishing to become involved in digital imaging of "T-shirts and More." 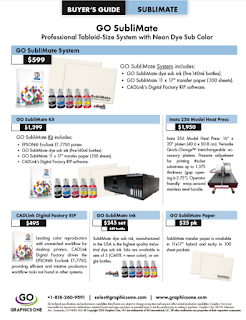 For more information on the OKI product line please Click: OKI LED Transfer Printers.